We’ve had our first few snow falls and if you take a walk around your neighborhood you’re bound to see a few homes decked out in Christmas lights now! There’s no denying that lights add a serene beauty that gets us all in the holiday spirit; especially that flow off the snow! Installing them however, isn’t always the easiest process in the world for many reasons. Nobody likes dealing with a tangled web of lights, on top of the mess of extension cords and outlets; in fact all of this frustration can lead to careless practices by homeowners in an effort to just get the lights working properly. The problem is that many fire departments and power companies can agree firsthand, that what seems like an ordinary bundle of wires and lights can actually be an extreme fire hazard, on top of it being stressful on your home’s electrical system. Safety first:Of course you want your decorations to look beautiful and festive, but you can do this without putting your safety at risk. Firstly, confirm that any and all decorations are properly secured to your home, without any risk of falling. With that in mind, you should never put yourself in a vulnerable situation where you could slip and fall for instance, to hang decorations. Consider an artificial tree:Why not use a tree that is fire resistant this year? During set-up, check that the base is sturdy and secure so there is no chance it’ll flip or topple over. Water live trees regularly:Alternatively, if you have a fresh tree it is imperative you keep it looking fresh and green by providing sufficient water each day. This will keep it from drying out and becoming a fire hazard. Place decorations with care:Always arrange decorations so that they are far from heat and any other fire hazards. Use the proper lights:When you set up your outdoor lighting be it on your roof or doorway, check that the lights are in fact for outdoor use and are certified. Inspect all light strands before using:Check over all of your light strands for potential damage, loose sockets, fraying, or broken lights. Avoid overusing extension cords:For safety purposes, don’t connect more than one extension cord. Be sure to also avoid overextending electrical outlets or they could short out. Ask for help with your decorating:Never put up decorations without a spotter if the area requires lifting and/or a ladder to hang lights or other décor. This extra support and help will also be great for company and getting the job done faster. Place decorations safely and carefully:Always keep sharp and potentially dangerous decorations and ornaments away from children and/or pets. 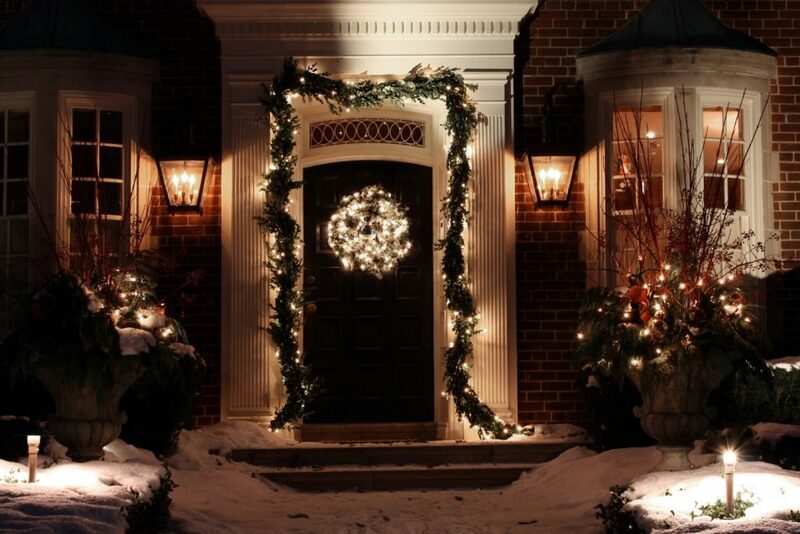 Always check that lights are off before going anywhere:Shut off all outdoor and indoor holiday lights prior to leaving your home or going to bed. While we certainly hope you take extra precautions from now throughout the holiday season, Will Marshall is here for you should you require information on making a claim. With that said, following the above safety tips will ensure you aren’t at risk of experiencing a fire in your home. For additional information on how you can stay protected, get in touch with our team at 705-726-2551 in Barrie or 705-326-5664 in Orillia.